Sometimes we come across something that expresses how we feel better than we can. 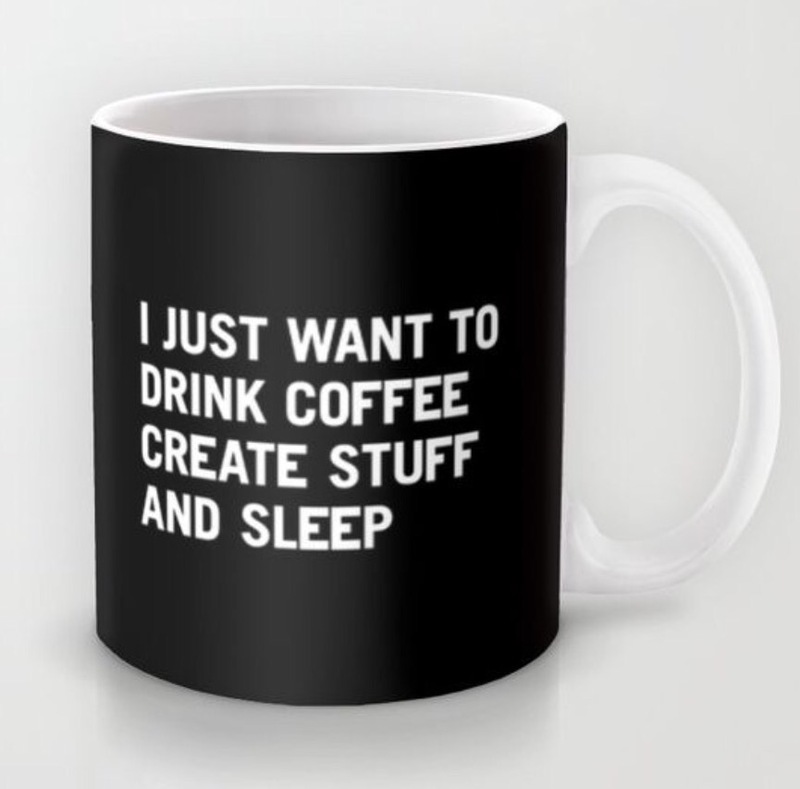 The other day I found just that on a coffee mug that said, ” I Just Want To Drink Coffee Create Stuff And Sleep”. As a working mother of a 2 year old toddler I would say that rest and Me-time are foreign concepts. Being that I have been a mother since I was 15, I should be used to it. I’m not. This doesn’t mean that I don’t want to be a mother or that I lament it. It is just hard to remember a time when I wasn’t “Mom”. I sometimes don’t know my identity outside that role in my life. I value being a mom and wife immensely and wouldn’t trade it for anything. 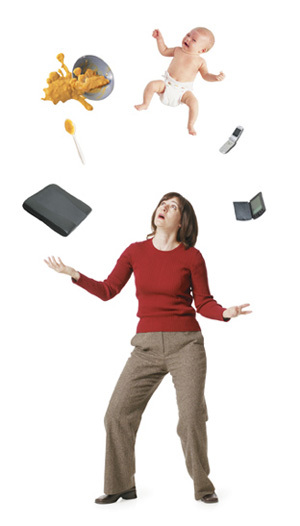 I am referring to being so wrapped up in the tasks of the day, that I “lose” myself in it. Not that I don’t find fulfillment there or joy, but that the parts of me that existed before being a “mom” feel lost. I do carve out time to do my crafts and the activities that I love. (I found time to write this article.) What I am talking about is losing the pre-mom Miranda, the person that didn’t have to look over the needs of her family. The person that could create and just be. I was watching the tv show, Wahlburgers, on A&E and part of the episode was about the mother Alma Wahlberg doing a discussion panel about being a celebrity mom. One of the questions she was asked was about how she kept her identity in the shadow of her famous sons. Her answer struck a nerve with me. She said “I fought for it!”. She stressed that she was always being introduced as so and so’s mom and wasn’t even called by her own name. I relate to this completely. After I saw that episode and then the mug, it hit me, “I have to fight to keep Miranda alive”. I am not using fight in an aggressive, boxing sense. The fight I am pointing out is the fight within me to not become so busy with my roles of worker, mom, and wife that my very core gets shut out. The tv show and a coffee mug found a missing person, I didn’t realize was even lost. This can apply to anyone. We do change over time as we grow and experience new things. This does not mean that we should lose our identity, performing whatever roles we have to at that point in our lives. We need to nurture the person we are and not let them get lost and buried. This means taking time to reflect and doing things that we love, not just going along for the ride in other people’s plans. It requires making sure we get proper rest so we don’t go through the day like zombies. We can’t keep our identity if we are too tired and busy to realize its being lost. For me I need to drink some coffee so I can create some stuff (other than this article) and then get some sleep. Tomorrow will be here before I know it. “Work” Miranda will then need get up and do her thing, so she can get home, so “Mom” Miranda can do her thing, so “Wife” Miranda can do hers, all the while making sure “Inner” Miranda gets her little slice of time. Wish me luck as I fight the good fight!